After a 12-year hiatus from the stage, award-winning actor, film director and screenwriter Yılmaz Erdoğan returns with a new one-man comedy show “Münaşaka”. Münaşaka takes its cue from George Bernard Shaw’s Pygmalion. First performed in 1913, it is about a professor who makes a bet that he can train a poor Cockney flower girl, Eliza Doolittle, to pass for a duchess at an ambassador’s garden party. Essentially, it lampooned Britain’s rigid British class system. Better known today as My Fair Lady, Bernard Shaw’s play has been adapted numerous times for TV, cinema and the stage. It has also inspired many other works in popular culture including films Educating Rita and Trading Places. Erdoğan puts his own spin on this famous story, creating a two-act, two-hour show that he first performed at the Istanbul Comedy Festival in November to rave reviews. He’s added a cool word play on ‘münakaşa’, which in Turkish means ‘argument’, switching the last four letters so it reads şaka, or ‘joke’. Using digital displays and social media, and supported by his sharp observations, Erdoğan takes the audience on a hilarious, but “real” journey of his life and Turkey, including his experiences at the 2014 Cannes Film Festival where he was promoting The Water Diviner alongside Russell Crowe. 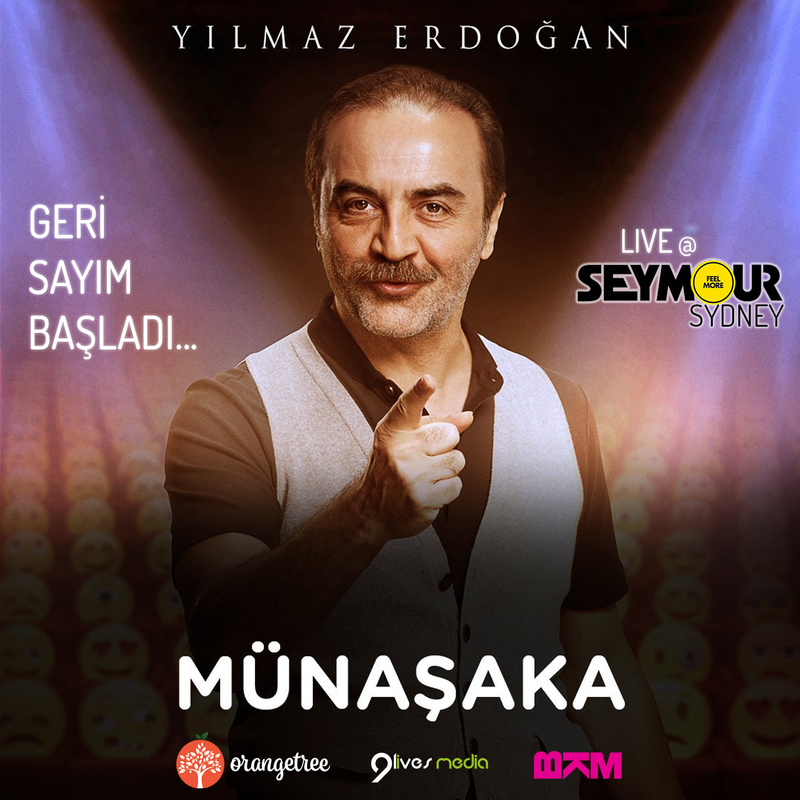 Tickets for his Sydney performance of Münaşaka at Seymour Centre are selling fast. 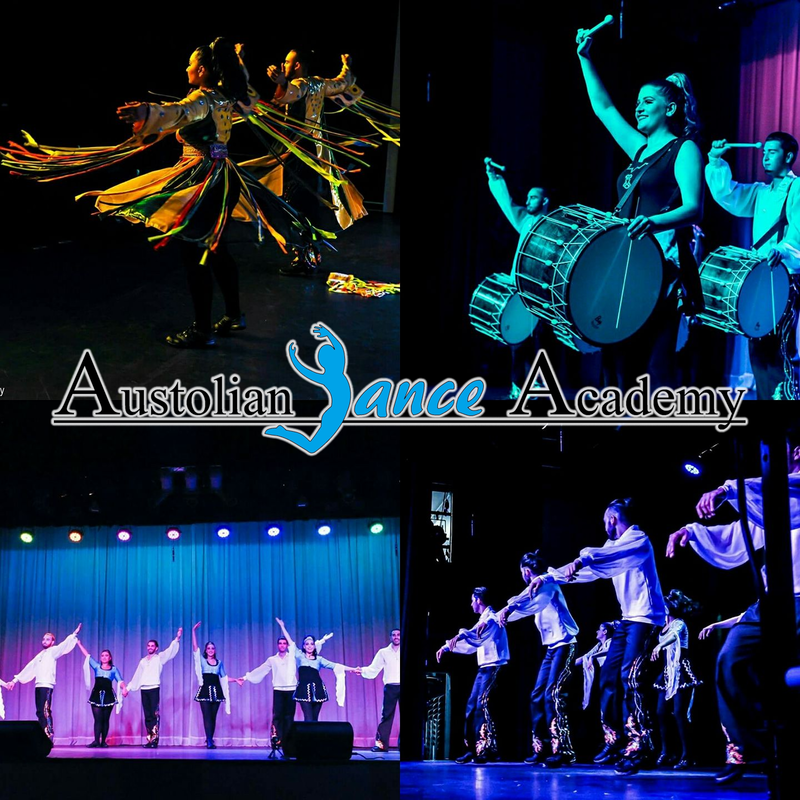 Prior to the show, the Austolian Dance Academy (ADA) will be performing a traditional Turkish dance and drum show from 8:30pm. Located conveniently at the Broadway end of the city, the Seymour Centre is close to Central and Redfern Stations, with great transport links, ample parking and plenty of nearby facilities. Find parking information here. To avoid queues we suggest that you arrive from 30 minutes prior to the performance to collect your tickets from the Box Office located inside the main entrance to the Seymour Centre. Please Note: you must be the credit card holder to collect your tickets and will need to present your credit card and Photo ID used to make the purchase, in order to collect on the night. Visitors to the Seymour can enjoy a large range of food and drink options. Inside Seymour we have multiple bars and food outlets and within close walking distance there are a number of great local restaurants, pubs and cafes that offer special Show+Meal deals. Loved the show? We want to know! Follow us on Facebook and Instagram and share the fun by tagging @orangetreeau. This performance will be presented in Turkish. If you have any questions, please contact the SeymourCentre Box Office on 02 9351 7940.